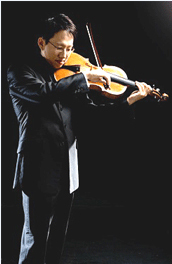 Taiwanese violist Chi-Yuan Chen holds the Karen and Warren Kessler Chair as Principal Viola of San Diego Symphony, a position he recently auditioned and won in 2014. Top-prize winner of both the 2000 Fischoff Chamber Music Competition and the 2004 International Paris Viola Competition Ville d’Avray, Mr. Chen has already established himself as one of the leading violists in his generation. In 1999, he made his American concerto debut at Boston’s Jordan Hall performing Walton’s viola concerto. Because of his outstanding musicianship and contribution, Mr. Chen received the Henri Kohn award from the Tanglewood Music Center in 2000. Mr. Chen began violin study at the age of 6 and made his public debut in Taiwan at age 10. The following year, he switched to viola and shortly thereafter made his string quartet debut in Hong Kong at the City Cultural Center. As a concert violist, Mr. Chen toured internationally performing at the White House in Washington, D. C., Suntory Hall in Tokyo, National Concert Hall in Taipei, City Hall in Hong Kong, Carnegie Hall in New York, Disney Hall and Hollywood Bowl in Los Angeles, Victoria Hall in Geneva, National Centre of Performing Arts in Beijing, to name a few. Prior to his arrival in the United States in 1998, Mr. Chen performed as principal violist with a number of orchestras in Taiwan including the Taipei Metropolitan Symphony, Taiwan String Orchestra, the Taipei Opera Symphony Orchestra, and the Taipei Century Orchestra, among others. As a soloist, Mr. Chen performed concerti with the National Symphony Orchestra of Taiwan, the Taipei Civic Symphony Orchestra and the National Defense Symphony Orchestra. 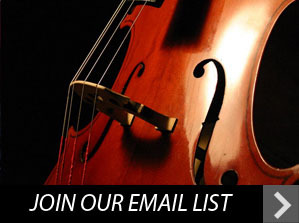 As a guest artist, Mr. Chen has performed with numerous ensembles, including the Boston Chamber Music Society, Metamorphosen Chamber Orchestra, and the Gardner Museum Chamber Ensemble in Boston, where he was the principal violist from 1999-2002. An advocate chamber musician, Mr. Chen has been performing with internationally renowned artists such as Colin Carr, Elliott Carter, John Corigliano, Toshio Hosokawa, Ani and Ida Kavafian, Yo-Yo Ma, William Preucil, George Perle, Paula Robison, members of American, Arditti, Brentano, Cleveland, Emerson, Guarneri, Mendelssohn and Miami string quartets. A founding member of the Great Wall String Quartet resides in Beijing’s Great Wall International Summer Academy, Mr. Chen has regularly performed and toured extensively in Asian countries which includes China, Hong Kong, Indonesia, Japan, Korea, Macau and Taiwan. As the only string quartet invited by United Nation, the quartet has participated in a documentary film for the 2009 World’s Heritage Festival, in which their DVD recording is in stock of the UN’s library archive. The quartet has recently released their debut album titled “The Great Wall” in 2012. In 2013, the album was awarded “The Best Performance in Classical Music” in the 24th Golden Melody Award in Taiwan. Besides his performing career, Mr. Chen is a dedicated educator for the next generation. Being a guest lecturer of University of Southern California and National Taiwan University of Arts, his international teaching appearances in variable settings such as master-classes, chamber music and concerto performances were highly acclaimed. Over the years, Mr. Chen has successfully conducted more than fifty master-classes in universities and music conservatories in Europe, Asia and North America. In 2009, Mr. Chen was invited to be Macau Youth Symphony’s Oversea Honorary Advisor. Also, his achievements and generous contributions to music education have been highly recognized by Governments of Macau and Hong Kong. Mr. Chen holds a Doctoral degree from State University of New York at Stony Brook; both a Bachelor’s and a Master’s degree from the New England Conservatory in Boston, where he received highest distinction in performance on both degrees. His teachers include Ben Lin, James Dunham, Martha Katz, Katherine Murdock and Nobuko Imai. Mr. Chen currently resides in San Diego where he is also a studio artist faculty of San Diego State University.